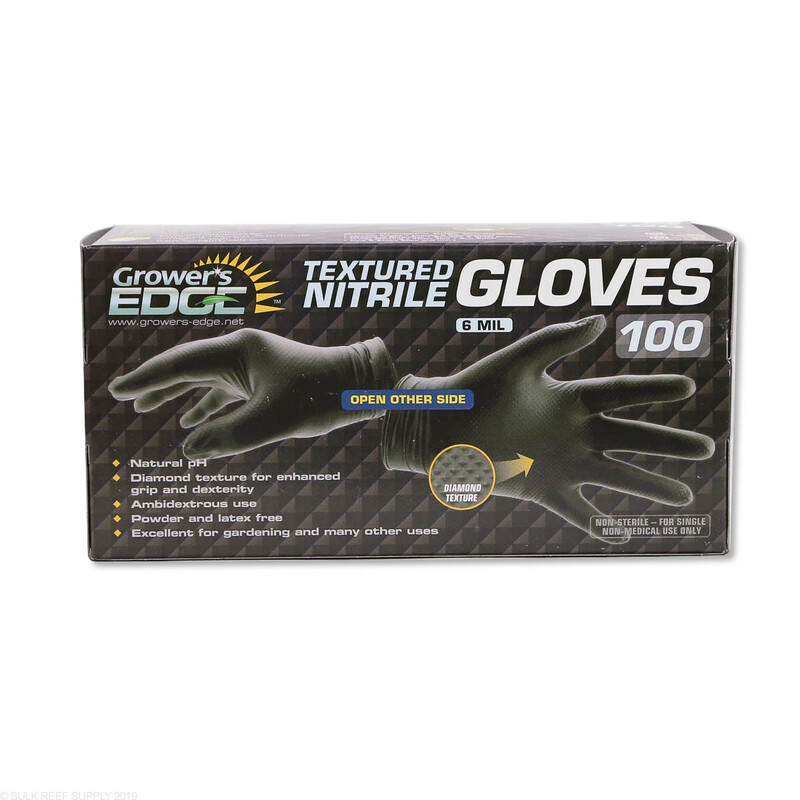 Keep ahold of your frags with textured nitrile gloves! Disposable gloves are the perfect accessory for the active reefer. They keep your hands clean and protected when you are fragging or cleaning equipment. 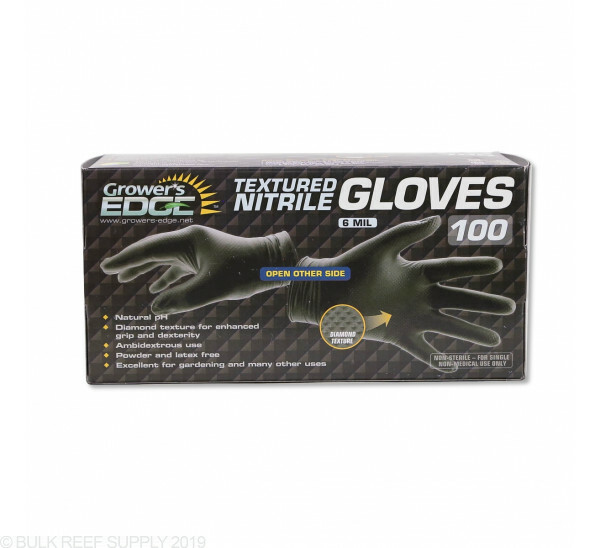 The thick nitrile gloves have a textured surface that provides extra grip on wet and slippery items. 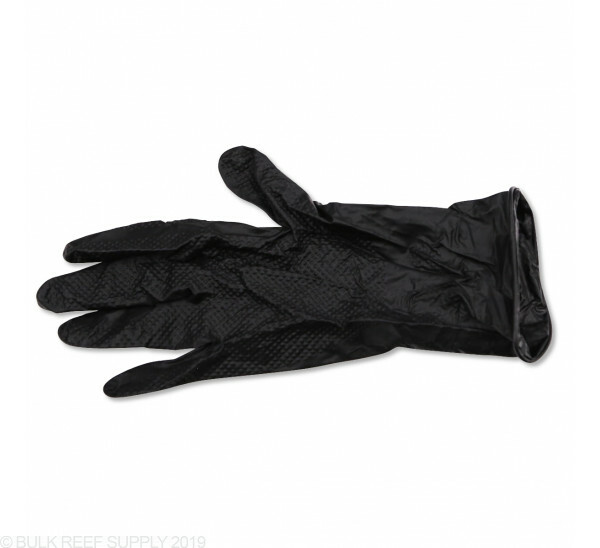 Heavy-duty 6 mil thick gloves keep your hands safe from bacteria and other possibly harmful substances when you are fragging or maintaining your equipment. Each box contains 100 black diamond gloves that can be reused or thrown away as needed. The black diamond texture greatly increases your gripping potential which is valuable for small frags and rocks. A little on the pricey side for gloves. That said they are thick and grip excellently. I’ve never had anything slip while using these and never had one tear.